Absolutely nothing is known about Sonny Wilson or the session that produced this surprising rockabilly treatment of the old Platters hit. Perhaps there were death threats from desperate rockabilly collectors, and this recordings was offered up as a sacrifice to keep their loyalty. In any case, there was much to treasure here in the pale Sun summer of 1960. It is this side, ''Cheaters Never Win'', that warrants special attention, though. The song, itself is pretty, if undistinguished, but Vinnie Trauth's string arrangement is another matter. Rather than write a chart around Bobbie Jean's vocal line, this arranger has written a violin fantasy to the song's chord changes. It might as well have been released as a solo recording by strings, so irrelevant is Ms. Barton's smokey vocal. In fact, the violins kick off their own melody before Bobbie Jean has a chance to utter a single word. 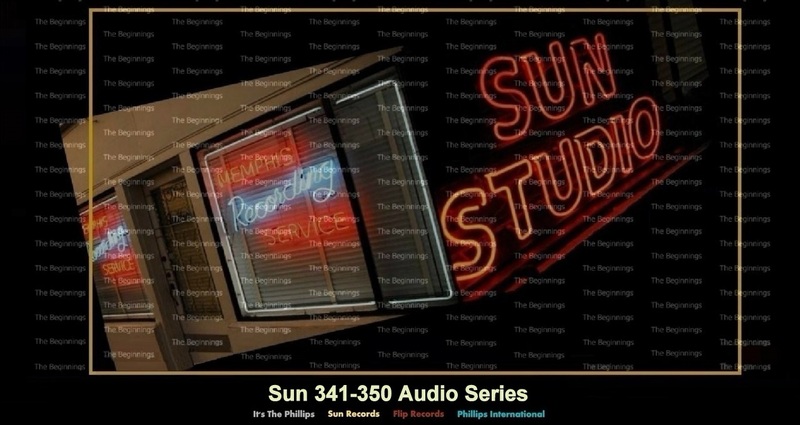 Taken on its own terms, this side works better that it has right to and serves its own little niche in Sun record history. Bobbie Jean was actually the wife of Ernie Barton, who had become a jack of all trades in the new Sun operation. Barton was involved in everything from sales to production, and even appeared as a vocalist (on Phillips International), and as a session picker. His wife, Bobbie Jean Farrabee, was a Little Rock lawyer and there are letters from her in the Sun files demanding that Sam issue an album by Ernie. Obviously, she didn't know that Sun disdn't issue many albums by anyone whose first name wasn't Johnny and last name wasn't Cash. ''John Henry'' is what they mean by an artist getting into a groove. Admittedly, this particular groove owed a lot to the fact that Don Hosea was generating a lot of local attention with his own version of ''John Henry'' on Roland Janes's Rita label. The folks at Sun figured they's better get on the bandwagon while the pickings were good, and who batter to call upon than Jerry Lee. The groove Jerry found here owed a lot to Ray Charles, but it was a fine one nonetheless. As Jerry, himself observed mis-session, it was ''too good to stop now!''. In fact, Jerry's music would soon result in his first bona fide hit in years. Strength had a strong singing voice rooted in the mainstream of country music styles and his ''Guess I'd Better Go'' was a strong contender on Sun in 1960 although ultimately his association with the label went nowhere. He recorded one or two interesting songs that were not issued at the time, particularly Stan Kesler's ''Call Of The Wild'' which Warren Smith turned into a hit on Liberty Records on become a Top 30 country hit. "Mean Eyed Cat" was a delight to rockabilly fans everywhere as they witnessed Cash's closest flirtation with their favoured craft. This track had a backwoods charm and energy that went beyond commercial concerns. In fact, the song lacked even a rudimentary 'hook', that simple device aimed at keeping a song in memory. Even the title seemed to have been pasted on after the fact. In place of such commercial artifice were some of the sweetest rural images this side of the Appalachians. Line like "He spit his tobacco, said I'll be dad blamed, I believe I 'did' see her leaving on a East bound train". Things don't improve much on the uptempo side. In fact, if you can get through the first four bars of ''The Good Guy Always Wins'' without losing your cookies, you're made of sterner stuff than most Sun fans. Again, blame the chorus who must have thought they were accompanying a Wagnerian opera. Let's start out with a simple point. ''The Time Is Right'' is almost a great song, a perfect example of that gospel-tinged Elvisy ballad that Memphis labels cranked out effortlessly in their heyday. Indeed, Lance Roberts seems to have had a knack for the genre and turns in a hell of a performance. Moreover, Charlie Rich, although uncredited in the session logs, seems to have a dominant force at this session. Still, something keeps this from being one of Sun's latterday masterpiece. The most obvious problem is the chorus. Not their presence per se, because this arrangement surly needed some vocal support, but rather ''this'' chorus. Like it or not, Tony Rossini made as many Sun singles as Elvis Presley, Billy Riley, Warren Smith and Sonny Burgess. One listen to this record tells you that Tony was a schoolkid; he was in fact just barely thirteen. His father, who was a schoolteacher in Memphis when Tony recorded for Sun, had once played in orchestras. It wasn't his father who led him to Sun, though; it was a blue collar worker at Memphis's Firestone plant, Dan Padgett, who fancied himself as a songwriter. Padgett had seen Tony at high school hops and asked him to demo some songs. He ten took the demo's to Scotty Moore, newly installed as the studio manager at Sam Phillips' Madison Avenue studio, and Scotty came to see Tony at a junior high school hop and signed him. The next record (Sun 350/1960) was released on regular yellow and brown or special white and green labels (with and without reindeer and santa) as a red and black issue, where the artist name is changed to The Rockin' Stockin'. no copies bearing that number have ever been found. ROCKIN' LANG SYNE / YULEVILLE U.S.A. Presumably every label, even Sun, is to be forgiven some seasonal music. So here is Sun's foray into the Christmas marketplace, courtesy of Billy Riley, entrepreneur. These two sides (Sun 1960) were produced for Riley's Mojo label, and taken over by Sun on November 17, 1959. That made it too late for Christmas 1959, but Sam Phillips had it out in plenty of time for Christmas 1960.